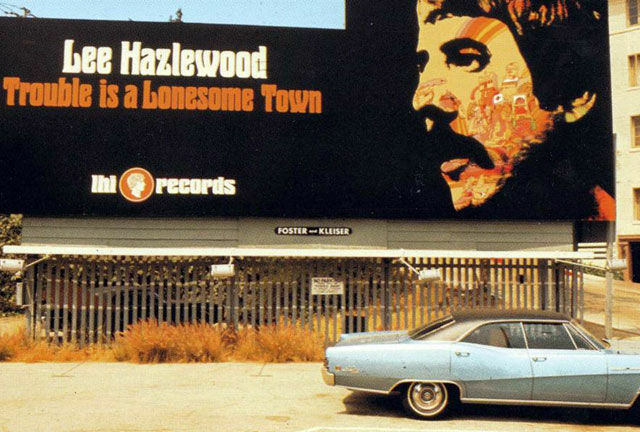 Oh, it's been too long since Lee Hazlewood turned up in this series (in the Bs) so it's nice to have him back. Six Feet of Chain was released on Lee's first solo album "Trouble is a Lonesome Town" and is prefaced by a story of two brothers who steal from each other and have each other arrested and jailed and is supposedly sung by one of the brothers. To be honest the lyrics to me don't match the story, it seems to me its more about a woman keeping her wayward man in line, so Cagney and Lacee's version, sung by Lacee (Dean's ex-wife Claudia Silver) makes a little more sense to me. Six Feet of Chain was the title track of Cagney and Lacee's only LP< released in 1997 on No.6 Records.